The iPhone 4 is shown on your left and the iPhone 3GS is shown below. If you are thinking of buying an iPhone then below are some facts to help you decide which one will best answer your needs. Both iPhones look the biz and as you can see, there is only a slight difference visually in that iPhone 4 is slimmer than her older sister. Currently at Three you can pick up the iPhone 3GS 8GB in black for an upfront cost of £129 and a monthly cost of £25 per month over 24 months. 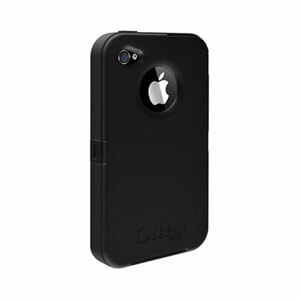 The iPhone 4 16 GB in black can be bought upfront for a cost of £99 and a monthly cost of £30 per month over 24 months. Over 2 years the iPhone 4 will cost you about £90 more. Both come with 300 any network minutes, 5000 texts, 5000 Three-to-Three minutes and 500MB Internet on Three’s Internet Texter 300 package. For ease of comparison and to match the information above we compare the Black iPhone 4 with 16GB of memory and the Black iPhone 3GS with 8GB of memory. The iPhone 4 comes with double the memory of the 3GS. Battery life on Iphone 4 also gets you 7 hours 3G talktime compared to only 5 hours on the 3GS. 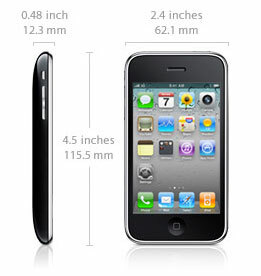 In the iPhone 4 the display is High Resolution Retina display with 960×640 resolution whereas the iPhone 3GS has a slightly inferior 480×320 standard display. Apple’s Facetime, used for video conferencing, can only be used with the iPhone 4 as the iPhone 3GS does not have a front camera to make this possible. 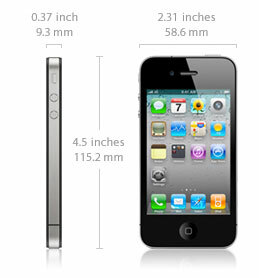 The main camera of the iPhone 4 is 5 megapixels whilst the 3GS is 3 megapixels. Both iPhones have auto focus and tap to focus. However, the iPhone 3GS has basic VGA video recording whilst the iPhone 4 has impressive HD video recording with LED. The iPhone 4 has a Gyro which makes for a superior mobile gaming experience. After this comparison you are aware that the iPhone 4 has an improved memory, longer battery life and new features while only costing approximately £90 extra (that is £3.60 a month more for an iPhone 4). The iPhone 4 uses micro SIM cards, and not standard SIM cards like the 3G models. So if you buy an iPhone 4 the new SIM card you require will be the micro SIM card. Activation of the phone requires the latest version of iTunes, a broadband connection and a minimum level of PC or Mac software. If you are considering a reconditioned iPhone buyer beware – read our more detailed guides on buying secondhand. The iPhone 3GS 16GB Black by Apple (Electronics) is £599.99 new. Amazon have 12 new from £349.62 or 22 used reconditioned from £315.00. 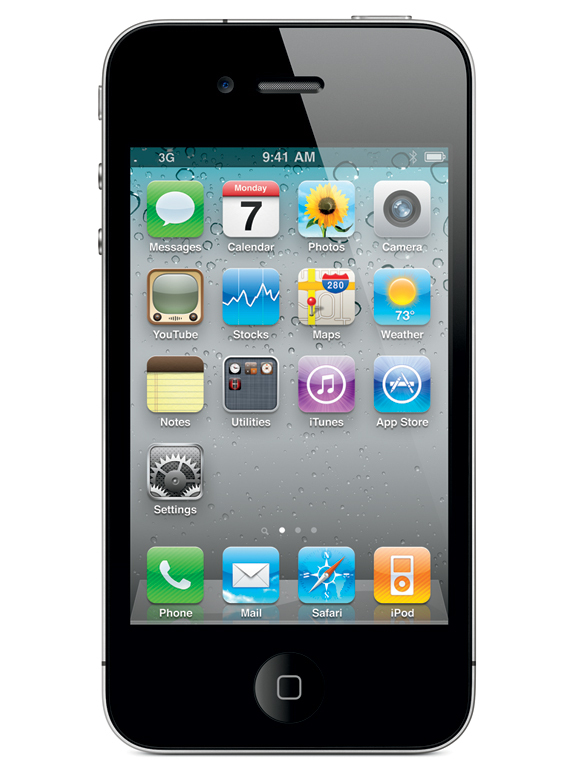 The iPhone 3G 8GB in Black by Apple is £489.97 new. Amazon currently have 6 new from £369.00 and 29 used from £210.00 – selling fast. This article aims to inform you regarding the first news app for Apple iPad and it then compares mobile phone operators contracts and download limits. We are beginning to see some very competitive iPad reductions and contract deals. The Apple iPad is a touchscreen tablet computer that revolutionises the way you access the internet. The iPad is offering a new way of delivering your news. For example, The Sunday Times is the first newspaper to introduce a news app, a digital version, that allows readers to view the entire printed edition of their paper with video, graphics and superb HD-quality picture slideshows without getting any print on your hands! The iPad can deliver fantastic graphics and the app is free to view. However, to download issues of the Sunday Times you will have to pay £1.79 a week via your iTunes account. However, if you subscribe to the Sunday Times website, it will cost £1 a week under their current 30-day introductory offer. If you already subscribe to the printed edition you will be able to download the iPad edition free. Why not watch a video of the Sunday Times app in action at thesundaytimes.co.uk/ipad. It only takes seconds to download each news section -to be read at your leisure- read in landescape mode and by rotating the iPad 90 degrees will give you plain text view of articles, with pinch and zoom functions enabling you to select type size. Wifi home users can use their iPad to connect online without any extra charge. There are wifi ‘hot spots’ in coffee shops and airports which you pay to use. The iPad can also connect online using the mobile 3G network, run by mobile phone operators, on a PAYG basis or a rolling monthly plan. Orange offers such a rolling plan for £15 a month for 3G data and unlimited access to BT Openzone wifi hotspots. Operators are already enticing customers to sign up for longer contracts by subsidising the initial cost of the iPad. 3 have introduced a two year plan that costs £25 a month and includes 15GB of downloaded data. The 16GB iPad costs £199; the 32GB £249 and the 64GB £349. If you exceed your data limit 3 will charge you 10p per MB of data -an expensive excess when compared to Orange and T-Mobile. 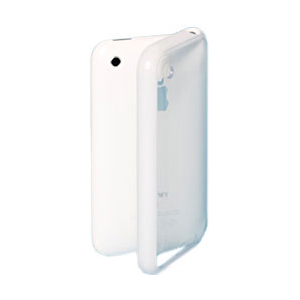 However, 3 offers the ‘Mifi’ option which looks a great deal – a portable wifi hotspot that connects to the internet using a 3G network offering wifi only owners of iPad more flexibility. The Mifi offers 5GB of data downloads for £15 a month plus an initial cost of £39.99 for the portable wifi modem. Orange & T-Mobile are both owned by Everything Everywhere and offer a two year plan costing £25 (existing customers) or £27 a month (new customers) with a rather meagre 1GB of downloads monthly at anytime and a further 1GB between midnight and 4pm. Not such a generous deal as 3. They will however only charge you 5p per MB for exceeding these limits. 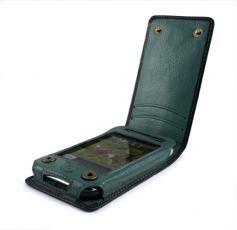 If you think you will be an avid data user of your iPad when you are out and about 3 sounds the better choice. 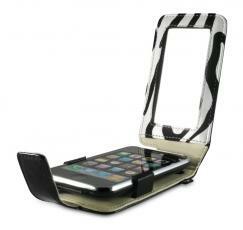 Three (3) -the mobile phone network – is now stocking the iPad. They have entered the market with a cracking deal that not only matches the contract pricing being offered by Orange and T-mobile but beats them in the amount of inclusive data downloads. Three have followed Orange and T-mobile in offering a cheaper way to buy the iPad…. if you go with a 2 year contract – the 16GB iPad will cost you an upfront fee of £199, the 32GB iPad costs £249 and the 64GB iPad will set you back £349. To get this discounted initial price you will have to sign-up to a 2-year data contract. The monthly plan for the Three Apple iPad is £25 per month (for 15GB of data downloads per month) based on a 2 year contract. The iPad costs from £529 if you want wi-Fi and 3g connectivity and £429 if you can make do with just Wi-Fi connections. HTC are currently getting more hits online than Apple’s iPhone suggests the Telegraph today. Web searches for HTC phones outstrip iPhone – consumers’ online habits reveal that they realise Apples are not the only fruit to pick. Apparently, we are more likely to search for HTC’s handsets when researching new phones than Apple’s flagship handset, the research reveals. The research comparison site Good Mobile Phones recently confirmed that HTC’s Wildfire, Desire and Desire HD were the three most searched-for phones on the site, with Apple’s iPhone 4 in sixth place. If you too are checking out the competition then you need to read our blog on ‘Is iPhone your best buy?‘ published last week. Although HTC appear to be breaking new ground it could be a while yet before their brand can match Apple’s brilliant marketing with impressive products. The mobile phone market is now more diverse than ever, with interesting offerings from BlackBerry, Android and Windows. But iPhone 4 remains the strongest proposition. The reason? 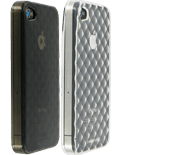 IPhone 4’s battery lasts longer than the top HTC Android phones, the iOS operating system is slicker than anything yet offered by a Google-powered handset, and it provides music and video options that Windows Phone, though improving, has yet to match. The co st of purchasing an iPhone 4 – starts from around £499 PAYG, and costs as much as £329 on some network and tariffs. However, limited availability is off-putting for some consumers. There is a growing conviction in the smartphone market that the HTC range of handsets offer an exciting competitive technological edge in terms of features and functionality. Many HTC handsets run Google’s Android operating system. The platform is now the second most popular smartphone OS in the world, with a 25.5 per cent share of the market. Apple’s IOS platform, found on the iPhone, accounts for 16.7 per cent, according to research from Gartner. HTC’s Mozart is gaining ground on Apple iPhone but that may not be a bad thing for consumers as competition brings innovation. Apple will probably came back with something better. For example, one of the niftiest new features for iPhone 4 is the Find My iPhone which helps you locate your device if you have misplaced it. It actually lets you remotely lock your iPhone, wipe it, display a message or play a sound on it. This service is available on PAYG – add a MobileMe account by tapping Mail, then tapping MobileMe. Enter the Apple ID and password you use with the iTunes store. That will set up a MobileMe account for you. This is a great new feature for the smart, security-minded mobile user. It may even swing your decision to buy an Apple iPhone. Visit our buy online webpage for more choice. Or Visit the Orange website for HTC handset information as the HTC 7 Mozart is available now for £399 PAYG or consider a free handset with monthly deal. 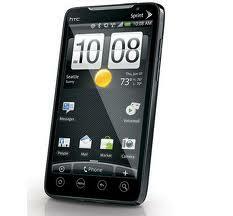 Visit the Vodafone website where the HTC Desire Z can be found with several different options for pricing and plans. For a £25 a month plan you’ll pay £199 for the phone, whereas a £35 plan which features 900 minutes and 750MB of mobile data will get you a free phone. 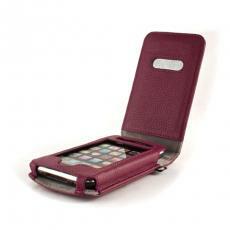 Visit the three website for iPhone 4 PAYG and reconditioned handsets at competitive prices. “Three would like to inform you of changes to the iPhone pricing structure, the following changes will come into effect today Friday the 5th November. For more information or to purchase the iPhone on Three visit the Three website.